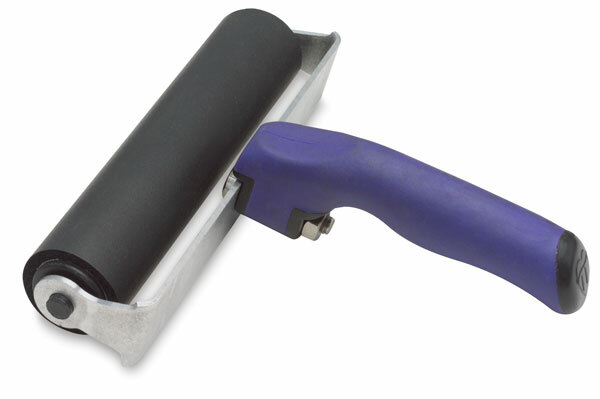 This professional brayer features an ergonomic, soft-grip handle with finger grips. The lightweight and durable all-aluminum carriage doubles as a stand for the roller. This eliminates mess, as the stand does not allow the roller to rest on any surface. ® Inovart is a registered trademark.® Delrin is a registered trademark.